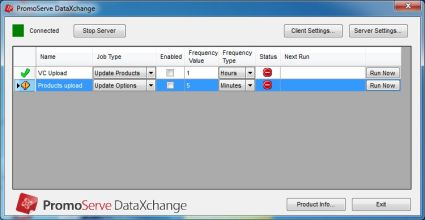 Running Data XChange Panel on Windows 7 and above. 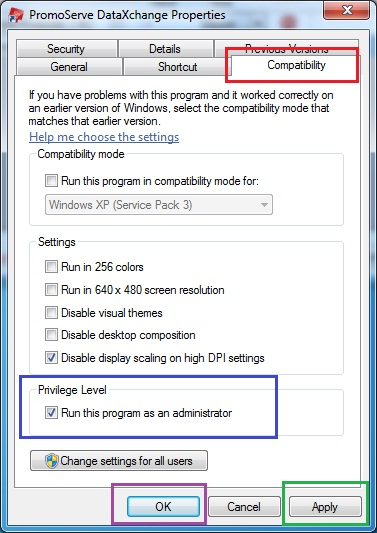 The Data XChange panel is compatible with Microsoft Windows 7 and above, there is a slight setting change that needs to be changed (from Windows XP) before you attempt to launch the program. 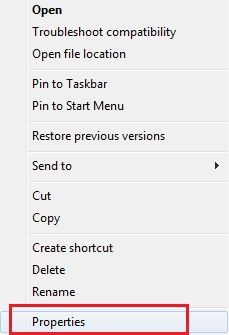 Now go to the 'Compatibility' Tab at the top and put the tick in 'Run as Administrator' then press 'Apply' then 'OK'. You will then find the panel opens correctly.